Catering From THe Carrot Co.
Our Catering Comes With Everything. Try Something New. 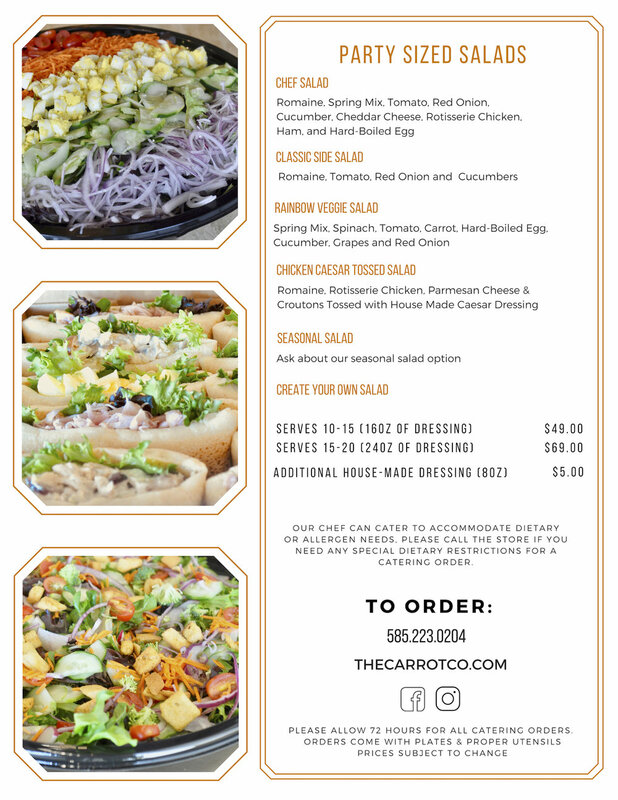 Whether you're hosting a party, business function, tailgate or even a wedding, The Carrot Co has you covered. If you're located in Victor, Pittsford, Rochester or any of our neighboring towns, call us for your next event! With a ton of warm, fresh and flavorful options we have something for everyone on your list!